Friday, April 23rd, 2010 at 6:35 pm. Filed under Content from the magazine, Projects & ideas. Follow comments (RSS 2.0), comment, or trackback. How timely. 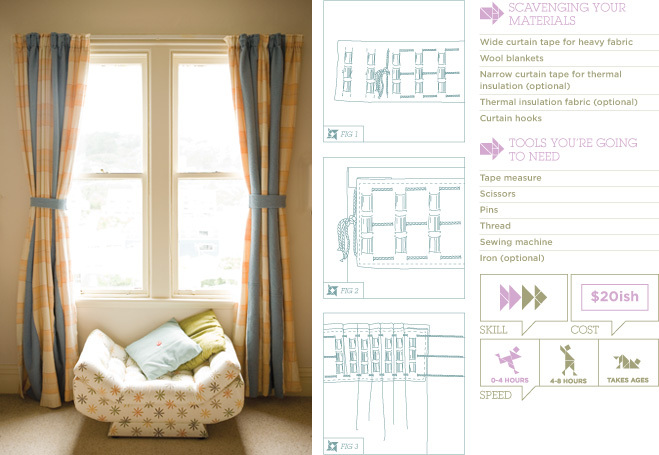 I was just posting on my blog about how I was making patchwork woolen curtains for our old villa and how great it was to have a tutorial found in WSW, and there it is online! So I linked to it too!